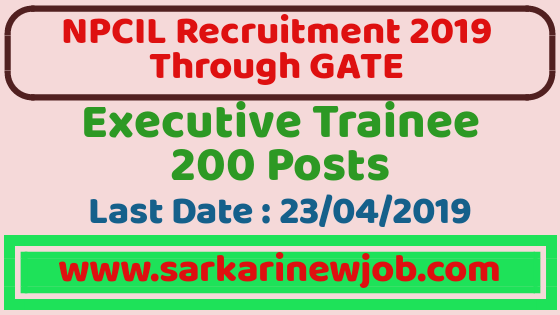 NPCIL Recruitment 2019 for Executive Trainee | 200 Posts | Recruitment through GATE 2017/18/19 - Sarkarinewjob.com A ultimate job portal to provide employment news.
. The detailed eligibility and application process are given below.